Pediatric Dentistry of Ft. Myers, Dr. Tim M. Verwest, DMD has been selected by the Consumer Research Council of America for inclusion in the 2016 Guide to America’s Top Dentists. Selection is based on a points system which includes, experience, training, board certification, and professional associations. 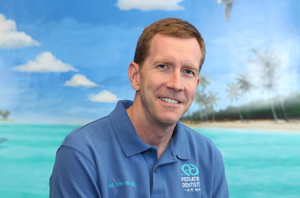 He was selected 2015’s best dentist in Ft. Myers for dentistry treatment and services as reviewed by patients verified by Opencare and was voted best pediatric dentist of Southwest Florida by the Ft. Myers News-Press readers in 2015. He is known for his commitment to the community through dental education presentations and gave away over 35,000 toothbrushes in the last two years.